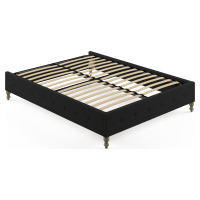 Sleep tight in luxury with one of our designer queen size bed bases. 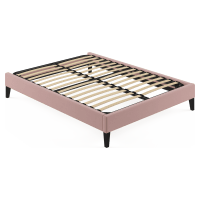 As the centrepiece of your bedroom, you want to invest in a reliable yet stylish bed base that will last years to come. 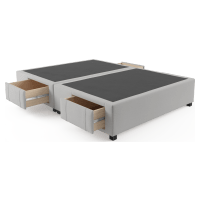 Our bed bases are made of the sturdiest hardwoods and fabrics so you’re investing in the best foundations for your bed. You can leave it at that - a quality mattress atop an admirable queen size base. Or you can select a matching queen size headboard to enhance the regal look. You can even choose from a variety of colours and styles to ensure your bed fits in seamlessly with your existing bedroom furniture. Don’t compromise on the size of your bed. If your room is on the petite side, optimise your space by investing in a bed base with storage options. At Brosa, our designers blend stylish designs with quality materials and superior craftsmanship so your queen size bed base will last for years. 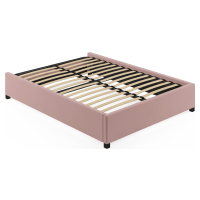 Shop our range of bed bases and have one delivered straight from the designer to your door for bedroom elegance without the fuss.